I have to admit reading this article is a little dizzying — I need to keep a map open in another window. I am assuming Frederick Law Olmsted mentioned here is the son of Frederick Law Olmsted of Central Park fame, since in 1902 the senior Olmsted was not very well and in fact died in 1903 and the firm mentioned is Olmsted Brothers. This is not Holyoke related, but if you are a fan of Olmsted senior, as I am, I highly suggest reading Devil in the White City, which is a non-fiction account of the creation of the 1893 Chicago World’s Fair — it reads like a novel and details Olmsted senior’s (and many other movers and shakers of the day) participation in the construction of the fair. Wonderful book with interesting insights into Olmsted — has anyone else read it? 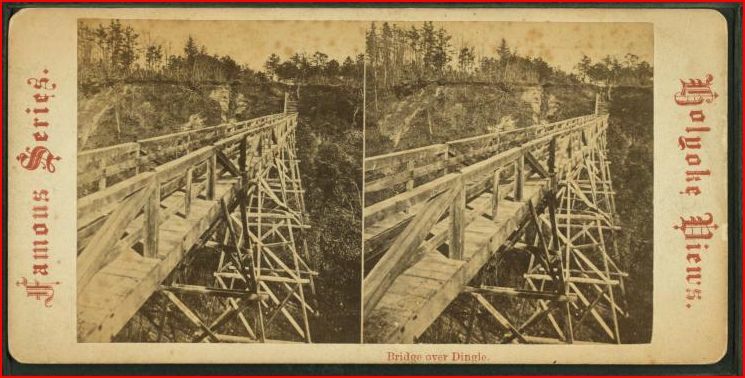 Now I am assuming / guessing that stereoscopic card below may depict the “built a new bridge across the ravine” mentioned in paragraph two. Looks a little scary from the camera angles. The Holyoke Park Commissioners have completed their report and with it is appended the special report of Frederick Law Olmsted of the landscape gardening firm of Olmsted Bros. of Boston, on Elmwood Park’s needs. The report is a big one and goes into considerable detail. The leading features of it are the advice for the purchasing of more land, construction of a road through the ravine, the establishing of a play-field, relocating the brook and the building of dams and pools and the extension of the park to Northampton Street. The Park Commissioners ask for a park loan of $50,000 for the purchasing of additional land for future park purposes and $7000 for the maintenance of parks the coming season. The Commissioners say that they have in contemplation the buying of a large area with water area and laid out in curves, etc. The commissioners in their report allude to the comparatively small area of Holyoke parks and their limited number. 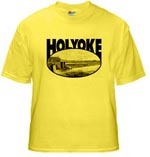 Holyoke has but one acre of park area to 25oo inhabitants, while Hartford has one to 67, Springfield one to 126, Worcester one to 307, Providence one to 331, Boston one to 225, and New Bedford one to 400. The board asks for a small tool shed for tools and settees. The various parks are then taken up in detail. At Elmwood Park the board has planted 100 trees and 500 shrubs, added new settees, built a new bridge across the ravine, added new walks and flower beds, and graded the plot nest to Maple Street. The need of this plant, as defined by Mr. Olmstead, are noted. At Hampden park large beds of shrubs and flowers have been added, as well as settees and iron projecting fences. Suitable drinking fountains and sanitaries for men and women are recommended the coming year. At Prospect Park the work of beautifying with trees and shrubs has begun, and will be continued the coming year. The board plans to make a playground of a portion of the north end of the park, providing swings, merry-go-round and a wading pool, etc. The plan of building a retaining stone wall along the railroad side of the park is recommended and will probably be begun the coming year. In concluding their report the board says that it is evident that if anything is to be done toward securing any large tract of land for park purposes it must be done soon otherwise land will not be available at a reasonable price. 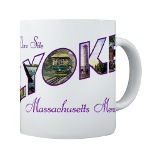 In congratulating the people of Holyoke on securing the Elmwood Park, Mr. Olmsted makes several suggestions. The most obvious suggestion to be made in connection with the park he says is that it is not nearly long enough. It ought to extend from Maple Street to Northampton Street and he recommends that the park commissioners apply all the available appropriations for the acquisition of the land on the plateau bordering the ravine from he river for play-fields. This hill commands a view over the city to Mt. Tom and other delightful views, and, if necessary, a tower could be erected for bettering the view. The branch ravine coming from the direction of the high school has lost much of its beauty owing to the filling out upon it of Jackson and Franklin Streets. It will be possible to properly grade these slopes, cover them with top-soil, and plant them, so that the ravine will be a beautiful feature, but in as much as it would be a small affair and no better than the main ravine, and as there ought to be in the park scheme provision made for ball-fields and other recreation grounds, we recommend that this branch ravine to be completely filled up. For the same reason, any remaining trees on the flat land adjoining Beech street, in the vicinity of Franklin street, would probably be removed, so that a continuous nearly level surface, unobstructed by trees will be provided for a play field on the side toward the main ravine can only be determined by further examination of the ground. It seems pretty obvious that public convenience will eventually require the extension of pine street to a juncture with Ross avenue, probably on a curved line, and crossing the ravine by one or more arches. The most suitable boundaries for the park along the south side of the ravine cannot be determined without topographical survey and further examination. It seems probable that a small portion of the land near that ravine on the west side of Chapin street ought to be included. It is evident that the east and north boundaries at the extension of the park will be defined by Jackson street, Franklin Street and Beech Street, and the west boundary by Northampton Street. The south boundary will be determined by the cost of land and property ownerships. A street parallel with Chapin Street, extending from Russell terrace to the hospital property, is recommended. He recommends that a drive should enter the park from Maple street, descending to the bottom of the ravine and continuing to Northampton street; also a walk the entire length. The ravine should be filled in until a sufficient width is obtained for perhaps a 34-foot driveway and an eight-foot walk, with a grass strip. The brook should be wholly relocated, and affords quite a problem. On one side a retaining wall should be built, and a system of dams and pools and little waterfalls are included in the scheme. The driveway will cross the brook several times. The plan to full up the ravine is strongly opposed, and the brick culvert has already been extended too far up from Maple Street. Details of the plan are given, and the treatment of the bank comes in for considerable criticism. A public shelter building is recommended near the play-field. Adapted from The Springfield Republican, image public domain from Wikipedia via NYPL. Note: Frederick Law Olmsted, Jr., was back in Holyoke in August 1908 to view improvements and make suggestions, see Expert Views Park Work.